Last week I decided I would, indeed, make some. I didn’t have the recipe so I had to do the best I could, and you know what? I knocked it out of the park. This super simple Grape Walnut Salad is *perfect* for healthy snacking (I eat it for lunch) and is a crowd-pleaser, too. Place the grapes, cheese, and walnuts in a large bowl. Add oil and toss until the grapes are coated in oil. Add pepper at this timeand mix well. This salad is amazing to eat right away, but it tastes even better if you can let it all sit for a couple of hours in the fridge before you eat it (overnight is fine, too!). I think it tastes better after the flavors have all had some time to gel. After I ate my (very generous) portion for lunch, I packaged up the rest so I could enjoy it for the remainder of the week (hahahaha, who am I kidding…it will never last a week!). You can get lots (and lots) of pointers for storing your leftovers at the Glad Food Protection website. One serving of this will be equal to one purple container, one blue container, one orange container, and two teaspoons. 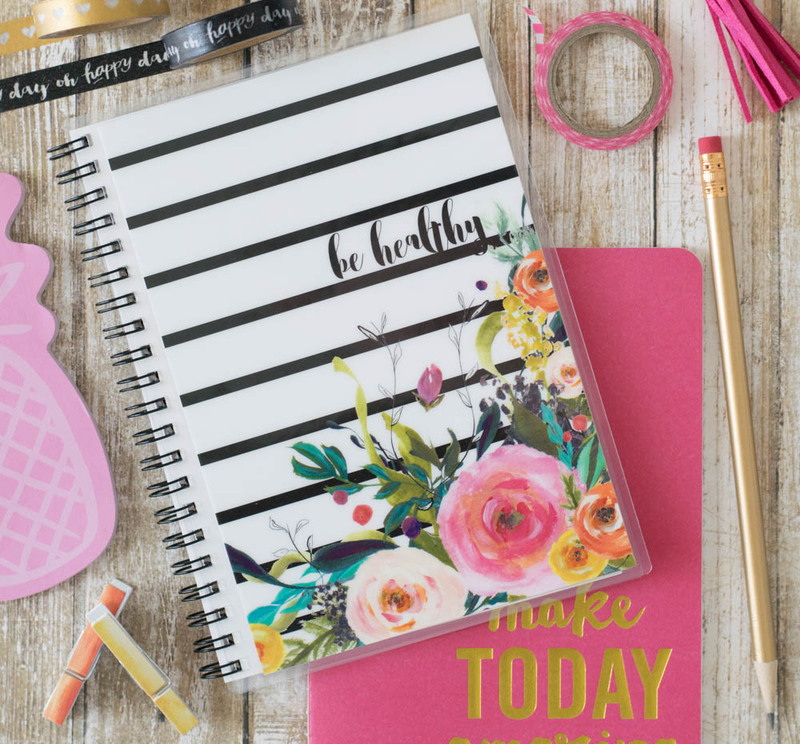 You can check out my 21 Day Fix trackers here. 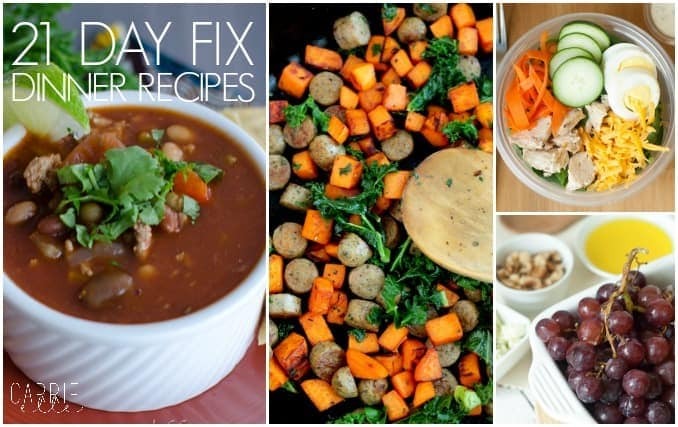 Get more great 21 Day Fix recipes by clicking on the pictures below. Is there something you can substitute for the blue cheese? I think you could use feta or goat cheese without any problem. The grapes and walnuts are pretty sweet/mild, so I think the cheese gives it a little kick and blends well with the other flavors. But if stinky cheese isn’t your thing (which I totally understand! ), you could leave it out completely and it would still taste great! for the 21 DF you say one serving would be 1 purple, 1 blue,1 orange and 2 tsp. WHAT is the serving? 1 cup? 1 1/2 cups? Just portion out 4 equal servings? I get nervous when recipes can be either 4-5 servings with 21 DF b/c that can really mess up your blues and oranges. Split it evenly into four servings. Sorry about that, I should have been more clear! This sounds GREAT ….cant wait to try it . Thanks Carrie. It’s SO good. You’ll love it! So this is four servings then? I thought walnuts were in the blue container not orange…. Although, I have seen other recipes where chopped nuts are counted as an orange! Yes I know nuts are blue. In this recipe you have them as orange. The book I got in my kit said blue also. Oh, not at all! I answered you before I even looked at my recipe, which was from awhile ago, and I had forgotten how I calculated the orange. I hope you like it – it’s really one of my favorite things to make and eat! Can you use cheddar cheese? I definitely want eat blue cheese, feta or goat cheese. I would think a sharp white cheddar would be delicious! Maybe grate it or cut it into chunks. Let me know if you try it – that sounds good to me!